Do You Care About Mother Nature? Prove it at Earth Day Run Challenge 2018! 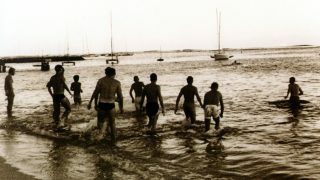 In 1969, there was a devastating oil spill in Santa Barbara, California. This event led Gaylord Nelson, then a U.S. Senator from Wisconsin, to encourage Americans to be more environmental-friendly. Together with Pete McCloskey and Denis Hayes, they selected April 22 as the Earth Day and promote the event across the nation. The first Earth Day held on 22 April 1970 saw millions of Americans protesting against the deterioration of the environment. Today, Earth Day is a worldwide event observed by people around the world. Hundreds of countries have pledged to plant more trees and cut carbon emissions to save the earth. However, the road to a sustainable environment is a long and arduous one. And it wouldn’t be possible without the participation of each and every citizen of the earth. 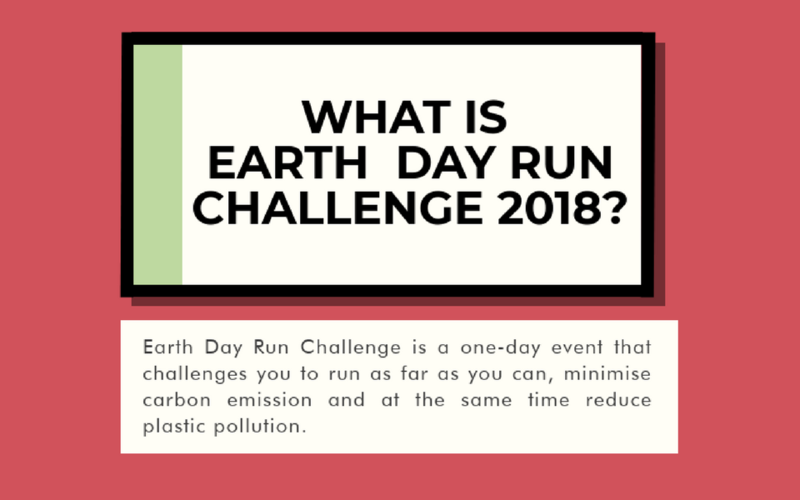 Thus, we’d like to invite you to be a part of this global movement by making a small, yet powerful effort to reduce carbon emission through Earth Day Run Challenge 2018. What is Earth Day Run Challenge? 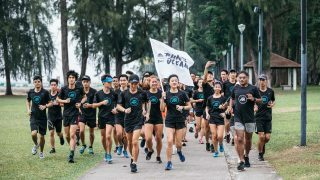 Earth Day Run Challenge is a one-day event that challenges you to run as far as you can, minimise carbon emission and at the same time reduce plastic pollution. As the theme for Earth Day 2018 is "End Plastic Pollution," we encourage runners to aim for zero plastic waste on this day for a greener earth. But, how? Bring your own bottle when running instead of buying bottled drinks, bring your own bag when shopping, choose to dine out rather than buying takeaways, opt for no straw and no plastic/paper packaging when purchasing drinks (if necessary, bring your own cup or bottle). Instead of driving or taking the motorised transportations, run to your destination! If your destination is too far, combine running with cycling. According to Carbon Footprint’s calculator, an average petrol car generates 0.19kg carbon for every 1km travelled. Thus, if you run 10km instead of driving, you are basically reducing CO2, the greenhouse gas causing global warming, by 1.9kg! Rather than watching TV aimlessly or playing computer games, switch off your electronic devices to save electricity and head out for a walk, run or hike! Clock your mileage with your trackers or apps and be rewarded with prideworthy e-certificate and a prize if you are one of the top runners! Joining Earth Day Run Challenge is super easy. The first thing you have to do is to register at Spacebib. The registration fee is S$3.99 per person. It is cheaper to get fit and save the environment than buying a gourmet coffee or bubble tea, can you believe it? Then, invite your family and friends to take part in this meaningful event. Tell them they don’t have to wake up early if they don’t want to; they can run anytime they want, with whomever they want but they have to put in some effort if they want some of the guaranteed awesome prizes. 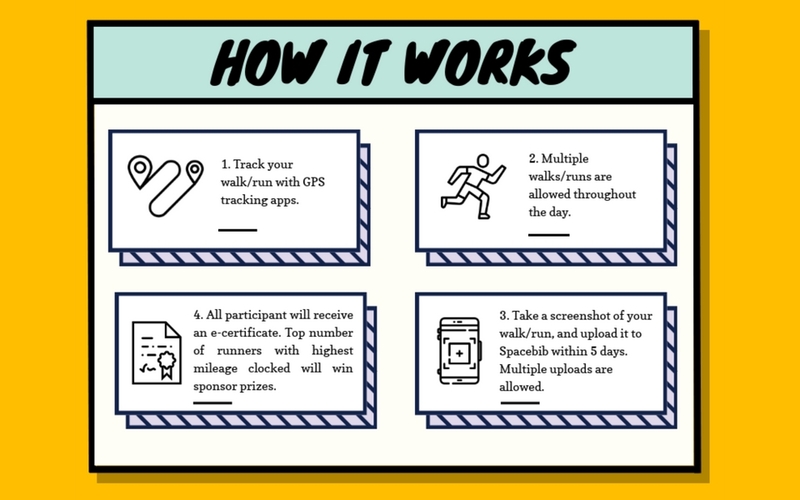 On Sunday, 22 April 2018, from 12 a.m. to 11:59 p.m., log your walk/run on any tracking apps. You are allowed to log multiple walks or runs throughout the day. Then, screenshot your walks or runs on your apps (include the date, time, distance, duration and map). Upload your screenshot to Spacebib by 27 April 11:59 p.m. Within 10 days after your submission, you will receive a bragworthy e-certificate with your name, distance covered, and your planet hero level on it. If you clock less than 10km, you will still get e-certificate but without a planet hero level. It isn’t a challenge if there’s no prize in it, right? If you are one of the top runners who clock the most distance, you can win the prizes below. Top L-R: Saucony Liberty ISO, Merrell Bare Access Flex Knit. 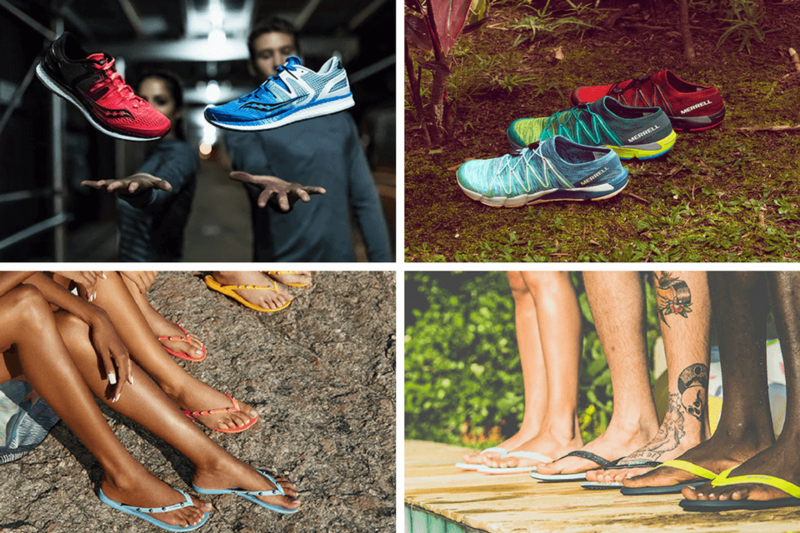 Bottom L-R: Ipanema flip flop, Rider flip flop. You might be wondering, why would someone join an individual run rather than a mass running event? 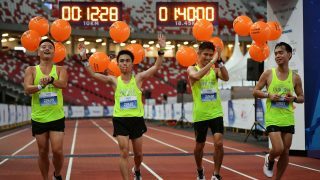 First of all, individual run actually generates less waste (including plastics) compared to a traditional running event. Imagine the amount of energy required to manufacture race bibs, timing chips, goodie bags, plastic packaging for the entitlements, and the finisher’s medals. The Earth Day Run Challenge believes in minimising carbon footprints and ending plastic pollution, hence the traditional entitlements (shirt, medal, bib, etc) gives way to digital entitlements (e-cert with your details and accomplishments). Moreover, with Earth Day Run Challenge, you don’t need to commute to the event place and literally reduce your carbon emission. And the best thing is, it’s flexible. 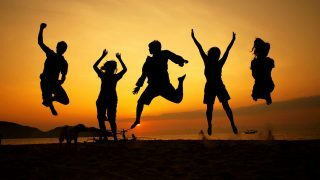 You can run at any time within the specified period, anywhere in the world, with your own running buddies! There is no reason not to join Earth Day Run Challenge! 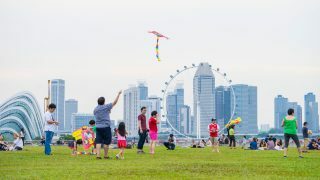 With just S$3.99 if you sign up early, you get to improve your health and fitness, spend quality time with your loved ones through running, be a part of the global movement to save Mother Nature, and you’ll even have the chance to win one of the attractive prizes. What more could one ask for? 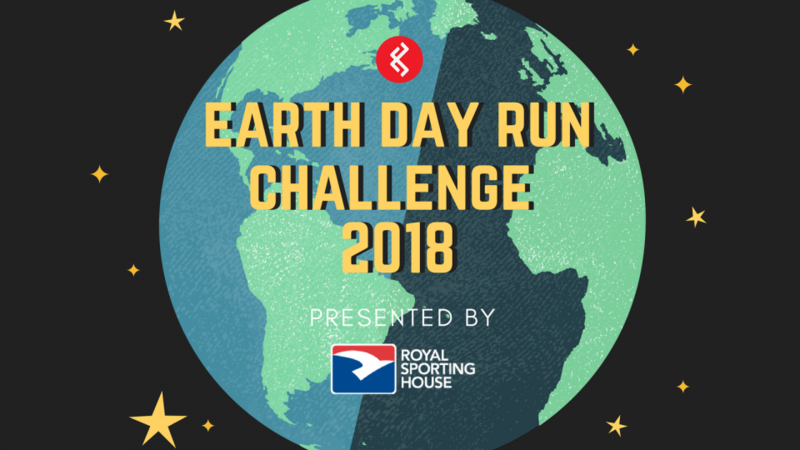 The Earth Day Run Challenge is sponsored by Royal Sporting House. First established in 1977, Royal Sporting House is Singapore’s multi-brand sports retailer. Stocking the best of sporting apparel, footwear and accessories from heavyweights like Adidas, Nike, Reebok, Under Armour, Merrell, Speedo, Saucony and more, RSH offers the sporting products you need for the active lifestyle you lead. Do you believe that plastic pollution can be ended and climate change can be reversed in our lifetime? Do Your Part and Run FurtherSave the Earth and Win Great Prizes!